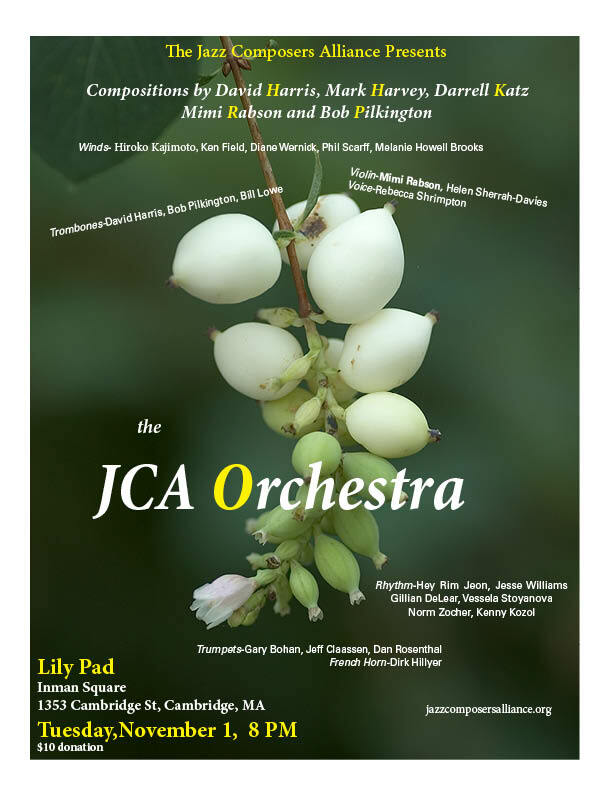 So excited to announce the Nov. 1st 8pm concert of the Jazz Composers Alliance at the Lily Pad! Featuring compositions by special guest composer Mark Harvey, Mimi Rabson, Bob Pilkington ,Darrell Katz, and myself. A stellar lineup for the band,featuring many of our long-time members, some frequent guest performers, and several first-timers. What an amazing night of music it promises to be. Hope you can make it out.